On March 1st 2019, the Bulgarian police has detained a Turkish citizen from the Kurdish minority Mr. Ilhan Karabag, who was living in Bulgaria for 3 years. He lived in Ovcha Kupel in a camp of the State Agency for Refugees (SAR). The reason given for his arrest is a request for deportation from the Turkish state on the account of participating in a political organization which is banned in Turkey. He is not persecuted for any other crimes aside from being a member of the said banned organization. 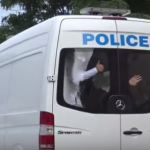 Since the moment he was arrested Mr. Karabag is detained at the main building of the National Investigative Service with the right to receive visitations only two times per month. Until now he has attended three sessions in the Sofia City Court (SCC). On the last two of them a representative of the Turkish diplomatic mission in Bulgaria was present in the court hall. The presence of this representative is seen as a brutal attempt to put pressure on the decision of the court. On April 9th the court has decided to deport Mr. Karabag but the decision is appealed in front of a higher court – the Sofia Court of Appeal (SAC). The date for the next session is still to be announced. 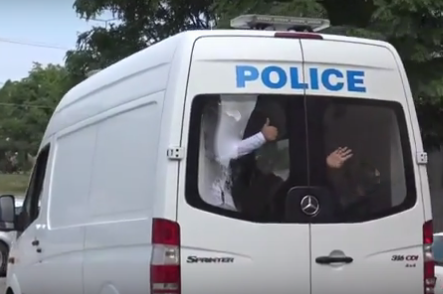 In the recent years there were other instances happening, that have ended quickly with the deportation of Turkish citizens from Bulgaria to Turkey. Bordermonitoring Bulgaria (BMB) is sharing the concern of an unfair asylum procedure, which is furthermore based on the statistics of applications and granting of protection status at first instance in the last year: Not a single person from Turkey who asked for asylum in the year of 2018, was accepted by the SAR. On the 17th of December 2018, the camp in Vrazhdebna / Sofia with a capacity of 370 places was until further notice closed. 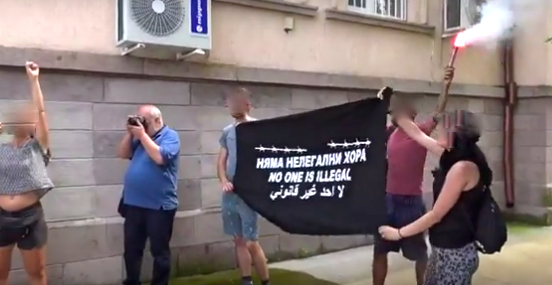 Until now the camp out of three facilities in Sofia was always ranked by the State Agency for Refugees (SAR) and other organizations as a flagship, which was gladly shown to foreign visitors. The residents of the camp where distributed to other camps. Only recently the camp was renovated from EU-money. For that reason only five open camps are existing in Bulgaria, which can be left at least during the day. Contemporary they are used solely by 10%: Voenna Rampa und Ovcha Kupel (both in Sofia, capacity: 800 respectively 860 places), Banya (in Central Bulgaria, capacity: 70), Pastrogor and Harmanli (in South East Bulgaria, capacity: 320 respectively 2.710). On the 27th of September the postponed trial (from the 11th and 12th September) took place. Again only 10 Afghan migrants appeared in front of the court. The court still did not do a hearing with them. A small group protested once more in front of the court in Solidarity with the accused migrants. The police intervened and stopped the protest by removing the banners and checking the ID cards of the protestors.